NEW YORK -- CBS announced Monday that former CEO Les Moonves will not receive his $120 million severance package after the board determined he failed to fully cooperate with an investigation into sexual misconduct allegations. A lawyer for Moonves rejected the decision as "baseless" but did not say whether the former CEO would formally challenge it. New York-based CBS Corp. said at the time of his departure that it had set aside $120 million in severance for him but warned that he would not get the money if the board concluded it had cause to terminate him. "We have determined that there are grounds to terminate for cause, including his willful and material misfeasance, violation of company policies and breach of his employment contract, as well as his willful failure to cooperate fully with the company's investigation," CBS said in a statement. The board did not provide details and CBS declined to comment beyond the statement. Earlier this month, The New York Times said a draft report from the outside investigation found Moonves committed "multiple acts of serious nonconsensual sexual misconduct." Citing the report, the Times said he deleted numerous text messages and was "evasive and untruthful at times." The investigators have declined to comment on the details of the Times report. "The conclusions of the CBS board were foreordained and are without merit," Levander said in a statement. "Consistent with the pattern of leaks that have permeated this 'process,' the press was informed of these baseless conclusions before Mr. Moonves, further damaging his name, reputation, career and legacy." Moonves had been one of the most admired powerbrokers in the entertainment industry, hailed for turning around the fortunes of CBS when he took over as entertainment chief in 1995 with hits as "Two and a Half Men" and "Survivor." He was also one of the highest-paid executives in the nation, making about $70 million in each of the past two years. Attorney Gloria Allred, who represents four women who have accused Moonves of misconduct, called on CBS to publicly release the details of the investigators' findings and compensate those with provable misconduct claims against the former CEO. The board said the investigation, conducted by two outside legal firms, "concluded that harassment and retaliation are not pervasive at CBS." Still, the board said investigators "learned of past incidents of improper and unprofessional conduct, and concluded that the company's historical policies, practices and structures have not reflected a high institutional priority on preventing harassment and retaliation." The investigators found that CBS has dedicated inadequate resources to training and diversity and inclusion initiatives for a company of its size. 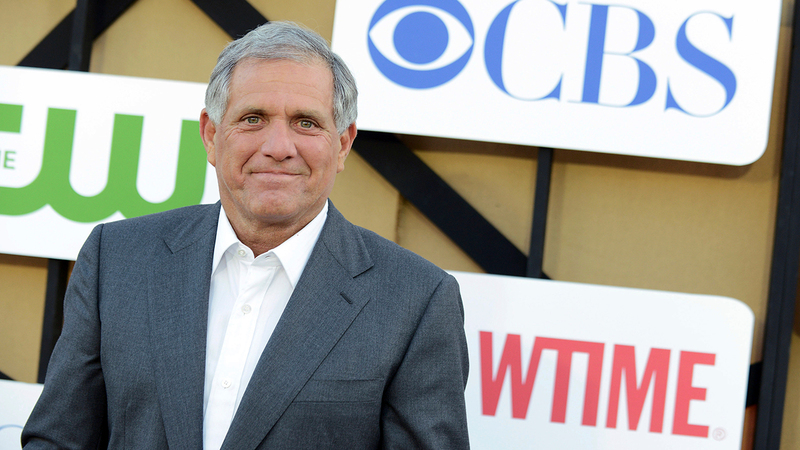 In a move criticized by women's rights activists, CBS had previously said Moonves would stay on as an adviser for up to two years, providing him with office and security services. The board did not say whether that decision remained in effect after its determination that Moonves was fired for cause. CBS had already deducted $20 million from Moonves severance to donate to organizations dedicated to promoting gender equity in the workplace and fighting sexual harassment. The company revealed a list of 18 organizations last week that would receive the funds, including several groups that have emerged as prominent voices since the downfall last year of Hollywood producer Harvey Weinstein, which triggered an avalanche of sexual misconduct allegations against powerful men across several industries. The 18 groups praised the donations but called on CBS to publicly disclose the results of the Moonves investigation. It was unclear if CBS would do so. Some activists involved in the #MeToo movement have praised CBS for hiring outside law firms to conduct the investigation, a decision that contrasted with NBC's handling of sexual misconduct allegations against Matt Lauer, who was fired last year as host of the "Today" show host. NBC's investigation, which was overseen by the company's general counsel, concluded that there was no culture of harassment at the news division. The CBS investigation began in August, before Moonves was officially ousted, and was led by two former federal prosecutors now with highly regarded law firms: Nancy Kestenbaum of Covington & Burling and Mary Jo White of Debevoise & Plimpton, who was also head of the Securities and Exchange Commission.